In the Dreamspell count, the 31-year anniversary is taking place on the 8th and 9th positions of the wavespell of the Night (the Dreamer archetype): corresponding to KIN 190 8Dog and KIN 191 9Monkey. 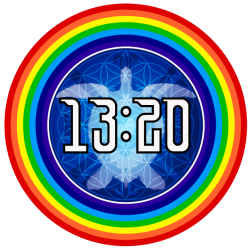 Let us remember that number 31 as Kin 31, corresponds to the last rotation of Valum Votan during his last 58 days of life on Earth. 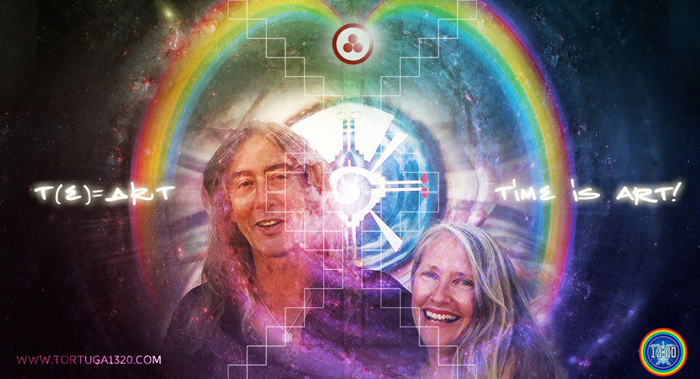 This is then a perfect opportunity to weave the Dream of Galactic Love by reconnecting memories of present day and ancient-future overlapping realities… It is also a perfect time to remember the origins and purpose of the Dreamspell. 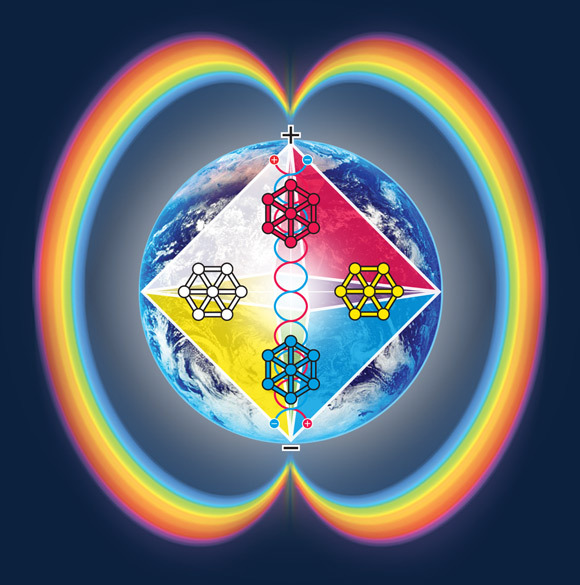 Since December 21st, 2012 we entered a transition period of accelerated evolutionary change that is leading to the dawn of the Noosphere and the Return to Natural Time. 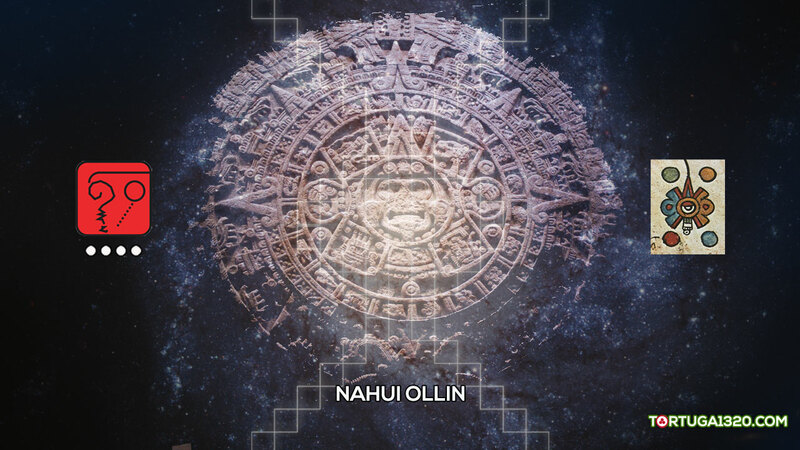 Within the Maya time-keeping science this period is known as 1HOLTUN and corresponds to the synchronization phase that takes place every 5 years + 5 days between the 13-Moon count (364+1 days) and the Galactic count (260 days). The profound significance of this 28-day passage is highlighted at this time by the emergence and coalescence of multiple synchronizing factors between astronomical events, world events and numerical markers, revealing a masterful tapestry woven through the fabric of TIME and SPACE. Considering their rare and close occurrence in time, the Venus Transit of 2012 and the “Galactic Alignment” of Earth with the Sun and the “Dark Rift” at the heart of the Milky Way galaxy on the Winter/Summer Solstice, right during the closing of the 13th Baktun of the Mayan Long Count (vigesimal marker 13.0.0.0.0), are the 2 most significant time portals of the 21st century, and probably the entire 3rd millenium. In an amazing display of synchronicity, the 31-year milestone from the Harmonic Convergence organized by José and Lloydine in 1987 is enshrined by auspicious signs of Prophecy coming from the Ancient Future-Past. 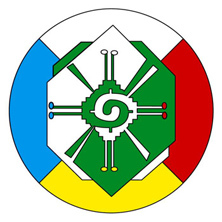 In the essay Ancient Future Cosmology, Prophecy and Revelation: Galactic Maya and Multidimensional Consciousness, Itzadragon, KIN 21 presented a fascinating exploration of the term Ancient Future. Even though the linear understanding of the concept is limited, the linear model of Past – Present and Future provides a simple framework of exploration to find important reference points in time. This is the case taking place TODAY. • Pacal Votan was born on Long Count marker 9.8.9.13.0 8 Ajaw / 8 Sun (RealTime) • 8 Dog (Kin 190) on the Dremspell Count. August 16, 2018 marks the completion of EXACTLY 1987+1 Tzolkins since his arrival to this world according to the Dreamspell (DreamTime). • According to the Ancient Maya Tzolkin Count (RealTime) August 16th, 2018 corresponds to 1 K’an, marking the start the Trecena of K’an (Green Corn Wavespell). 1 K’an is equivalent to Kin 144 (1 Seed) in the Dreamspell Count (DreamTime), the Kin that activated the revelation of Telektonon in the First Year of Prophecy (1993-1994) of the ministry of Valum Votan & Bolon Ik. • 1 K’an also corresponds to the birth Kin of Uk’ix Chan, the mythical founder of the Palenque Dynasty, who was also known as “The Olmec” Priest. The Ancient Maya stone inscriptions inform us that King Pakal modeled himself according to the Archetype of Uk’ix Chan, as it shows the image above depicting Pakal representing Uk’ix Chan in Temple XXI (21), Palenque. 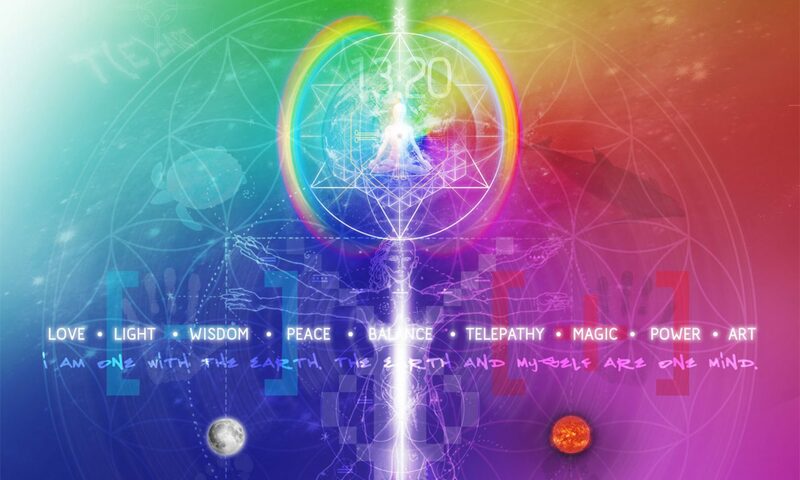 “The 4th Dimensional Pulsar Wave of the current wavespell is comprised by KIN 14+18+22+26. 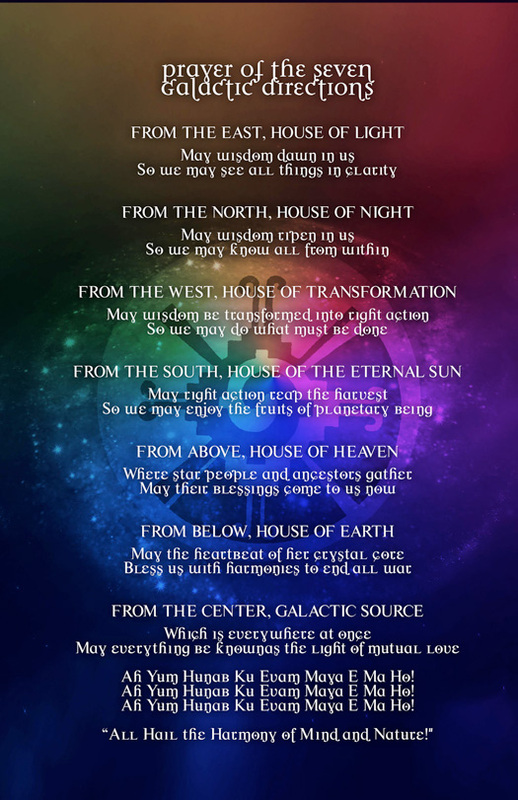 Each of these gateways holds the 5th Force oracle of Timelessness in place, and each of them also holds a KEY EVENT of enormous significance within the prophetic narrative presented so far. >>> 1404 Solar Years of 365-days since the enthronement ceremony of Pacal Votan at age 12 on July 26th 615 AD. ★ KIN 18:Command Tower of the White Mirror. 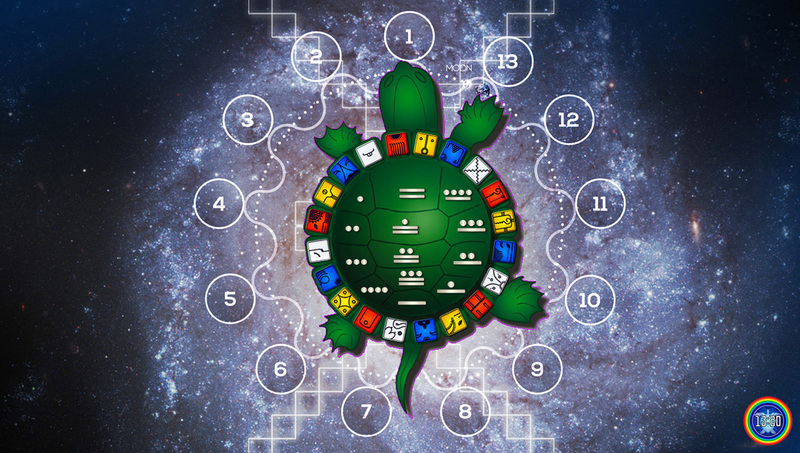 KIN 18 codes the ascension of Lady Tzakbu Ahaw in the traditional count as 5Etznab. ★ KIN 22: Solar Tower of the White Wind. This means that the Solar Moon of this 13-Moon year will hold the frequency of the Primordial Mother of Palenque: Bolon Ik. 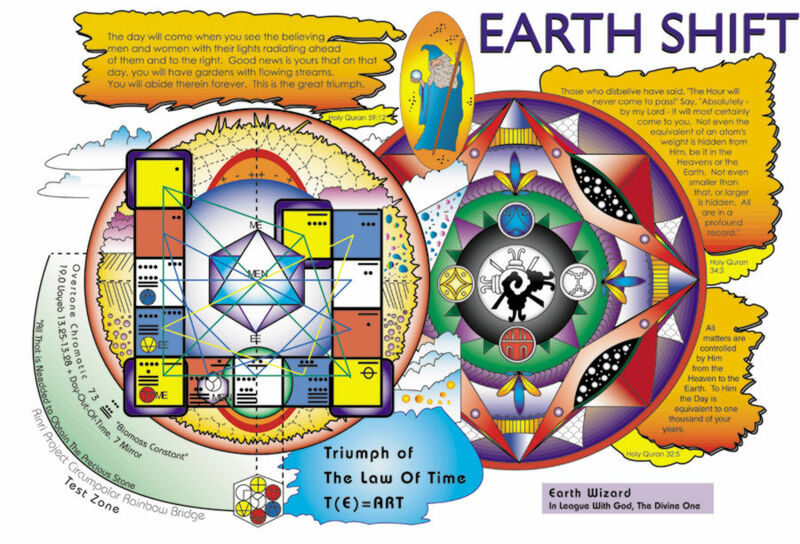 It is also important to remember that in the Telektonon Game of Prophecy, every 28 days as we step into the final 28th unit, we enter the Spirit Tower of Bolon Ik or Tower of the Winds to “become the Victory of Prophecy”. July 26, 2018 KIN 169 13Moon, marked the entrance into the LAST UNIT (OMEGA POINT) of the 28-YEAR TELEKTONON of PACAL VOTAN that started in the year 1991 and contains the 16-Year Cube of the Law (1997-2013). In the Telektonon Game of Prophecy, every 28 days as we step into the final 28th unit, we enter the Spirit Tower of Bolon Ik or Tower of the Winds to “become the Victory of Prophecy”. Number 28 codes then the Galactic Mother Bolon Ik who represents the Feminine nature of the New Time. 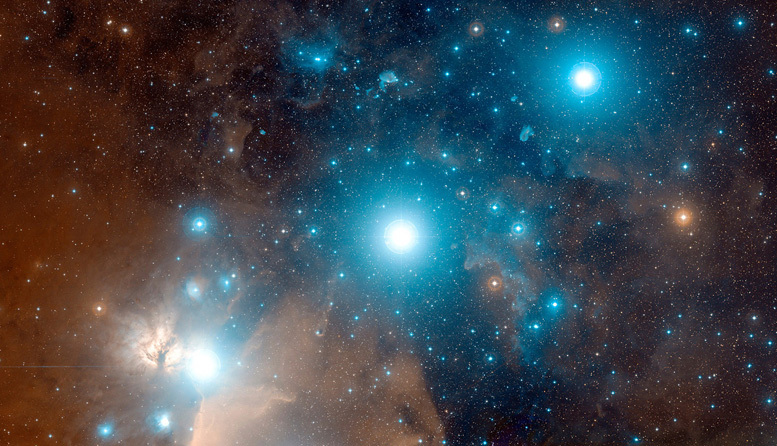 The invitation is to tune in during this entire year to the source of the Primordial Mother. We will expand on the prophetic significance of this in future reports. 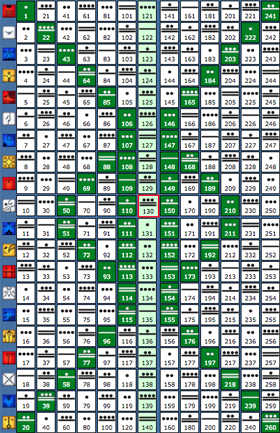 As anticipated during the last 13th Moon of the Year of the 12 Seed year coded by KIN 64 [ HUMAN DNA CODE], the powerful 5-Year : 7-Tzolkin + 5 days synchronization/purification window from last July 21-26, catapulted us into the last stage within the Telektonon circuit of 28-years and a new chapter within the biosphere-noosphere transition time-line. Mars opposition occurred on July 27 [NS1.31.1.2 • KIN 170 1 Dog] signaling the start of a new 780-day synodic cycle. The completion of a new synodic cycle of 780 days synchronizing with the Blood Moon eclipse on July 27th, 2018 signaled then the synchronization of the eclipse cycle and the Martian synodic cycle with the heliacal rising of Sirius. It was precisely during this celestial passage on JULY 27, 2018, at the entrance to the Wavespell of Dog/ Love that the INAH announced that the full burial assemblage of Queen Tz’akbu Ajaw (Temple XIII, Lakamha’ Palenque) started to be exhibited to the public for the first time in Mexico City. “The Journey to Xibalba” (equivalent to the Mayan Underworld) is the name of the art exhibit that will be open to the public from July 27 to September 9, 2018 in the Temporary Exhibit Hall of the “Templo Mayor” Museum, where the public will have the chance to “enter” a replica of the funerary chamber of Temple XIII (13) in Palenque, destined to her eternal repose, 1346 years ago. The historic and prophetic relevance of this exhibit was presented in detail on “The Resurrection of the Ancient Maya Queen of Palenque Tz’akbu Ajaw” at the start of this year, when we covered how the entire funerary art of the Maya Queen’s grave was carefully reconstructed by a multidisciplinary team and displayed for the first time in New York City as part of the exhibition “Golden Kingdoms” that opened to the public on the 28 of February 2018 (Kin 21), at the Metropolitan Museum of Art in New York City. Pacal Votan’s burial at the National Museum of Anthropology in Mexico City corresponds to exhibit No 169+170. August 16 and 17, 2018 corresponds to days Day 21 and 22 of the exhibit of the funerary art of Queen Tz’akbu Ajaw that started on the past 27 July (Day 2 of the Magnetic Moon) in Mexico City and that was initially exhibited in New York City for the first time during the past KIN 21 + 22. Number 22 codes the RealTime seal of the main deity of the Classic Maya, known as God I (GI) or Bolon Ik. In the DreamTime, Kin 22 codes the Mother of Dreamspell, Lloydine Bolon Ik, the anchor between the RealTime and the DreamTime. This is a good opportunity to remember that according to the INAH (Instituto Nacional de Antropologia e Historia) the skeleton found in 1994 on Temple XIII returned to Palenque on June 15, 2012 (KIN 18 5Mirror) after 18 yearsof archeological research and tests outside of Palenque. The return of the QUEEN to her “home” occurred, after being identified by experts as the wife and not the mother of the Great Pacal. EXACTLY on the 60th anniversary of the discovery of Pacal Votan’s tomb spent. NOTE: 40 days later was DAY OUT OF TIME 2012, KIN 58 6Mirror, disincarnation kin of Pacal Votan. 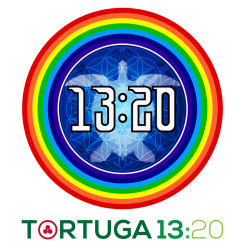 August 17, 2018, Day 2 of the Harmonic Convergence is synchronizing with KIN 191 9Monkey, marking 49 Tzolkins from the “White Wedding” of Valum Votan and Bolon Ik on 21.09.1983 in sync with Day 23 or Unit 23 on the Telektonon corresponding to “The Lovers ReUnion”. In the year 2017, the 65th solar return of the discovery of Pacal Votan’s tomb took place on KIN 23, 14 days after from KIN 9 9Moon the 23rd anniversary of the discovery of Lady Tzakbu Ahaw’s tomb on Temple XIII in 1994. •The exhibit will end on Gregorian 9.9.18. This date can be reduced to 9.9.9 (1+8) signaling completion. • Let’s remember that on July 25th, 2016, Day Out of Time, KIN 218 10 Mirror a series of WATER channels were unveiled below the Temple of Inscriptions in Palenque (Lakamha). The synchronization of the 49th spins since the wedding of the Father and Mother of the Dreamspell count on 191 is also complimentary to the 911-191-119 Master Number Triplet as it can be appreciated in the relationship between the kin number 191 and its vigesimal notation [11.9]. Since the coming 17th anniversary of the Inevitable event on 9-11-2018 will synchronize with the start of the Islamic and Jewish (lunar) calendars and since these 2 calendrical systems represent the main archetypal antagonistic forces behind the “Inevitable Event” redemptive narrative, on pART III we will explore in depth the meaningful patterns and synchronic connections behind the arrival to this 17-year milestone since the moment when the bubble of artificial time popped, on 9-11-2001. 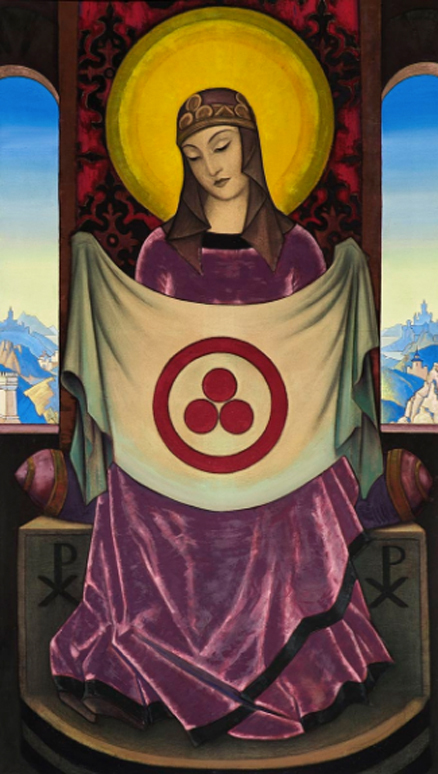 To learn more about Valum Votan’s and Bolon Ik’s archetypal interpretation of 9-11 as the enactment of the redemption of Babylon Planet please visit 9-11. The Fall of Babylon and the White Horse. reconstructed from the original Tortuga.com website, and originally published 2 days after 2001-9-11 on 2001-9-13, day 22 of the moon 2, KIN 253, 6 Skywalker.